According to the rumors; this year iOS 8 the update probably includes many exciting new features. Recently Apple released the iOS 7.1 update and so corrected several small errors in the previous iOS 7 Owners of an aged iPhone 4 look forward to the update, because it provides a noticeable speed boost. As soon as iOS 7.1 released there start the discussions about its successor. Already In the internet numerous rumors about iOS 8 appeared, many of which highlight features that the fan community already for iOS 7.1 the much-discussed about “Health Book". The app collects apparently fitness values of the user, which it receives from co-processor of the iPhone 5S (M7) and the planned Apple iWatch SmartWatch. Due to various errors in their own maps application, in 2012 Apple earned a bad name; and Apple is working hard to remove the stain. For the next big maps update, Apple has apparently done a lot. 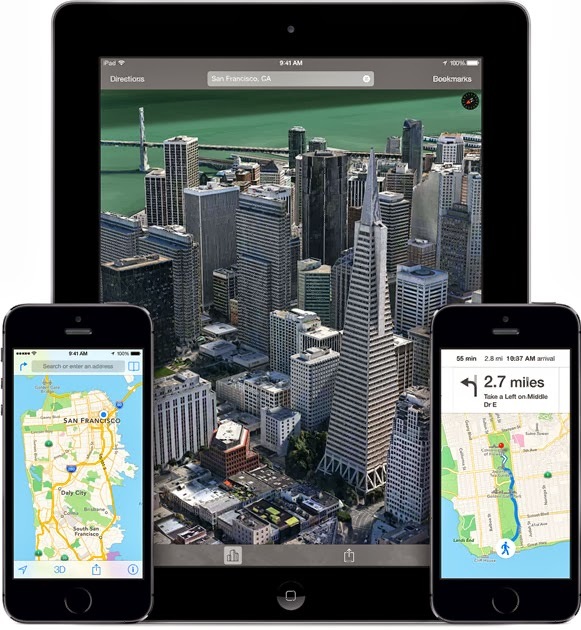 The Apple wants to integrate Maps - initially for large cities in the U.S., then internationally. 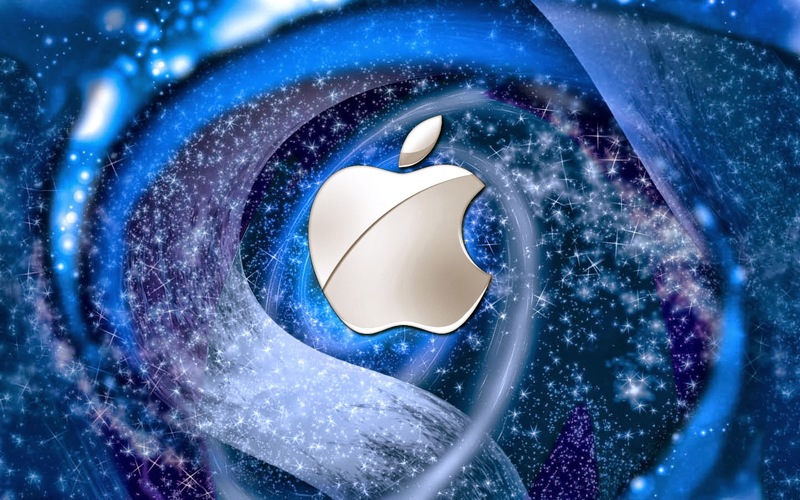 Various acquisitions from third parties (Embark, HopStop, WifiSLAM, and Locationary) were reaffirmed by Apple. Apple's new listing CarPlay is certainly part of iOS 8. A report in the Wall Street Journal claimed Apple is working on a new mobile payment system that not only apps can buy songs and other things from the App Store. Apple apparently wants to establish a service that allows shopping for physical goods. To protect user the Apple introduced with the iPhone 5S Fingerprint Sensor Touch ID. The last major design update came in mid-September 2013; iOS 7 whether and to what extent the language assistant Siri finds an update, is still unknown. When iOS 8 comes, however, is clear for the fans that there is an update that too most probably in the autumn of this year. While walking or driving and in doubt about any location, Maps could prove to be helpful in finding the way to any destination. Maps help to navigate your way around any location providing all the details to arrive at the desired destination. Apple Maps app has been providing quality experience giving users access to different modes of relevant interest with regards to tourism, traffic or weather, wherein individuals can switch on the modes related to the situation for a custom map of their choice. Apple has plans in upgrading and making major improvements to its Maps app in iOS 8 with its focus, less on interface improvement and more on enhancement to the application for reliability and accuracy. It responds to input directed to features in displaying information related to the feature and tapping or clicking on highways indicates the location of the service along the highway. Moreover, tapping two points on the map also provides available routes between them together with relevant data for each route which is computed and displayed to the user. Apple has developed a chip to improve its Maps app with the introduction of its new M7 motion co-processor in the iPhone 5s mentioning that `M7 knows when you’re walking running or driving’. The Map relates between driving to walking, turn by turn navigation and if one is in a vehicle or on foot it can easily tell Maps if driving at 100mph on a road. Besides, this, according to 9to5Mac.com, it also helps a person to locate the car parked automatically, if the location is known and users can now expect enhanced data with clear labeling together with a range of new features from its forthcoming version of Apple Maps. In addition to this, Apple has also added public transit capabilities to the app enabling users to locate directions while using train, bus or subway transit though initial public transit information would be available in major cities only but will make headway to other municipalities over a period of time. Maps provide directions, interactive 3D views with amazing flyover features, all in a vector based interface which can be scaled or zoomed with ease. Maps helps to navigate your way to the desired destination with turn by turn spoken indication and as one approaches a turn, it speaks direction enabling the driver especially at the time of driving to keep their eyes on the road turning the screen into a 3D perspective on the road ahead. If the user enters a turn, the viewing angle also changes providing them with the direction to proceed and should they miss a turn, Maps automatically provide reroutes with updates on ETA along with signs and arrows to guide them in the right direction. It also provides information on how long it may take to get there even when the screen is in locked mode. With the help of Map, one can get real time traffic information, with calculation of ETA, details on what could be causing a backup indicating major incidents or temporary slowdown with alternative routes to save time. Apple plans to make more progress on iOS’s version of Maps with more points of interest making navigation to the locations much easier to the users. Check at Macmyth for more information and updates related to technology. Is it really possible to recover back the data from your memory card, it you have formatted it? The answer is yes. It often happens when someone carelessly or accidently deletes some of the photos or videos or any data from your memory card that means a lot to you. But now you need not to be sad if something like this happens. We have a great solution to your problem. Get ready and download the memory card recovery software today. Memory cards are the data storage devices used in digital cameras, mobile phones, laptops, music players and a lot of other devices. These have a very high recording and storage capacity and a lot of data can be stored on a small single chip. This data can be recovered back with the help of memory card recovery software, if you have lost it and you and it back again. EaseUS memory card recovery software can serve your purpose for free. It will recover back all your lost data from the memory card and give it back to you. EaseUS recovery software free edition is really quick and easy to use. No matter what type of memory card you have, if it is under the windows environment, you can easily recover the data back within few minutes. In just few simple steps you can get all your data back. Firstly install the EaseUS memory card recovery software and click on complete recovery option. Other than that, there are three data recovery modules that will help the software decide what type of data recovery you want to perform. These include deleted file recovery for the deleted data recovery, partition recovery for lost data due to damage and the last one is complete recovery for recovering back everything you have lost. Then you have to choose the type of file you want to search and recover and then finally select the place where you want to recover back the lost directory. So in just three simple steps, you can recover you data back from the memory card. We can give a number of reasons why only EaseUS data recovery software must be chosen. One of the most important things is that it is trust worthy and millions of people have used it and given the best reviews. Next being that it is really safe and protects your memory card while the transactions are going on. The most important is that it is really easy to use and it does not require any knowledge of computer system to recover back data from your memory card. One of the tip given by the users is that recover the data as soon as possible because the reliability depends a lot on it. Sooner you will use the software, more reliable output you are going to get. Once the card is overwritten by something, you will never get your data back. So hurry up and get it today only. A few days after the revelation of a major security bug iOS and Mac OS, it is the turn of the GNU / Linux to be covered by a major fault GnuTLS. 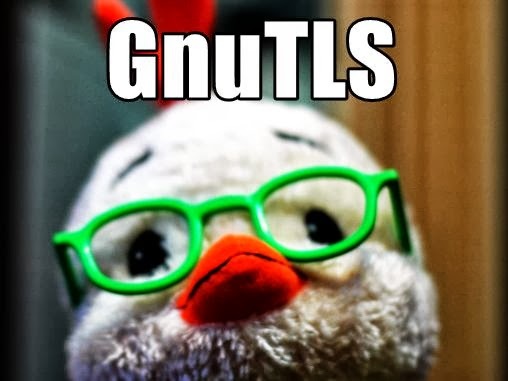 GnuTLS, the library implementation of security protocols SSL, TLS and DTLS most commonly used on GNU / Linux, is a victim of a fault of any magnitude that it easily ineffective in protection, several U.S. sites reported to Ars Technica. A worse than go to fail discovered on Mac OS and iOS, and Apple recently patched bug. Particularly it affects at least 200 packets of free or open source software, including GNU / Linux Red Hat (RHEL, Fedora), Canonical (Ubuntu and derivatives) or Debian. In addition to implementing within distributions, we could note that various mail clients and applications are potentially subject to risk. In fact, any software based on GnuTLS to integrate functionality on the SSL and TLS protocols can hit. The management of certain GnuTLS errors when checking the type X509 certificates. It would bring incorrect certificates validated by the system. According to Red Hat, an attacker could use the flaw to create a certificate that would be accepted as valid by GnuTLS to a site chosen by the attacker. The bug is present since at least 2005 in the library. Many errors are related to requests "go to cleanup”, which increases the apparent similarity with the flaw affecting Apple systems. But its complexity arises primarily from the impact that many lines of code, says Ars Technica. GnuTLS developers required to upgrade to the 3.2.12 release. This does not fix the bug for now, the discoveries made following an audit requested by Red Hat has not shown all their ramifications. You may expect hear again about this major flaw soon.